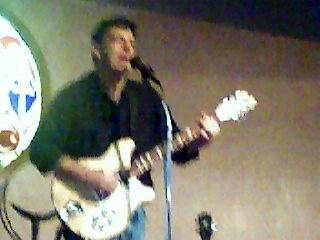 I play guitar and harmonica at local places on Long Island and in Queens and Brooklyn. Covers mostly, with the occasional original tune pitched in at random. Requests are accepted with varying degrees of grace and cost varying amounts of tip cup cash! I am also playing bass and singing for 3 Man Acoustic Jam, a fine group of reprobates. I have brown hair, wavy eyes and make a point of not taking myself too seriously.